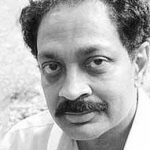 Vilayanur S. Ramachandran (1951-) is a neuroscientist from Tamil Nadu, India. He is best known for his work in behavioral neurology and visual psychophysics. He is currently a professor in the Department of Psychology and the Graduate Program in Neurosciences at the University of California, San Diego, and he is the director of the Center for Brain and Cognition. Ramachandran studied at the University of Madras in Chennai, India, as well as Trinity College at the University of Cambridge. Ramachandran has conducted research on a variety of topics. He began by doing research on human visual perception. He then moved on researching neurological syndromes like phantom limbs, body integrity identity disorder, and the Capgras delusion. Ramachandran also worked with the understanding of synesthesia and invented the mirror box. Ramachandran is known for using simpler technology in his experiments. Phantom Limbs: Ramachandran theorized that there was a connection between phantom limbs and neural plasticity in the adult human brain. Mirror Visual Feedback/Mirror Therapy: Ramachandran invented the mirror box and presented mirror visual feedback as a treatment for phantom limb paralysis. Neural Cross-Wiring/Synesthesia: Ramachandran was one of the first scientists to theorize that grapheme-color synesthesia comes from a cross-activation between brain regions. Mirror Neurons: Ramachandran advocates for the importance of mirror neurons. Ramachandran went so far as to say, “Mirror neurons will do for psychology what DNA did for biology…” He believes that mirror neurons play a role in empathy, imitation learning, language development, and self-awareness. “Broken Mirrors: Theory of Autism: Ramachandran hypothesized that a loss of mirror neurons might be the main deficit that explains many of the symptoms and signs of autism spectrum disorders. This hypothesis is controversial because the research did involve measuring mirror neuron activity directly, and instead showed that children with ASD displayed abnormal EEG responses when they observed the activities of other people. Xenomelia (Apotemnophilia): Ramachandran theorized that apotemnophilia is a neurological disorder caused by damage to the right parietal lobe of the brain.